The sixth floor of the Old Building was completed in 1928 with the opening of the Founders’ Room by the Prince of Wales. 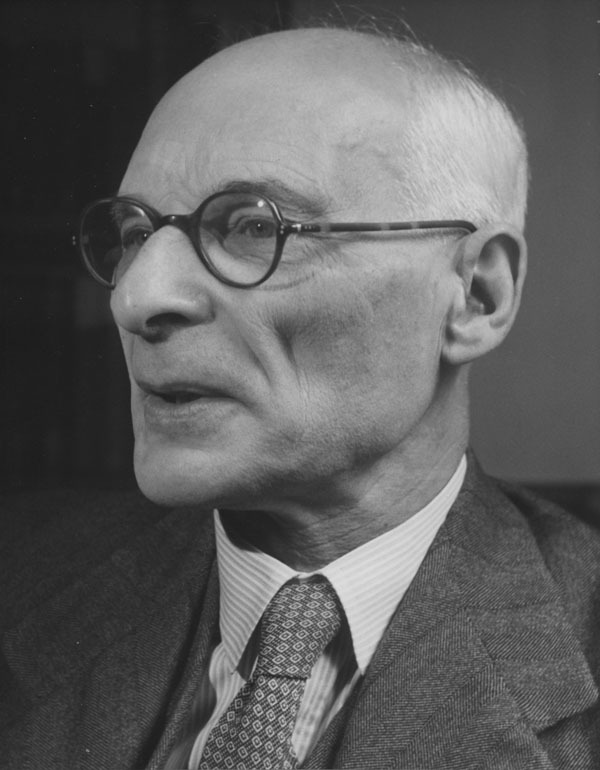 A memorandum from the Director, William Beveridge,in 1928 described it as ‘intended to serve first and foremost as a place for reading, reflection and quiet conversation.’ The School banned academic work there, although there were some complaints about students sleeping. In 1939 the President of the Students’ Union requested that smoking be permitted though academic work continued to be excluded. Charlotte Shaw was inspired but concerned that Carr-Saunders’ selection of titles might be staid – as she “would be in favour of the most exhaustive and daring range of subjects”. Charlotte agreed to give £1,000 towards the project and, concerned that she might drop dead or be killed by a bomb (the prospect of war was hanging over the Britain), immediately sent a cheque. The School Governors added £500 and followed this up in 1940-41 with a further £200. The School’s evacuation to Cambridge delayed the plan but in September 1939 Carr-Saunders suggested that a small part of the donation be used to establish a general library in Cambridge. Charlotte agreed to this “magnificent idea”. The Professorial Council appointed a small selection committee of Eileen Power, Professor of Economic History, the Librarian, WG Dickinson and Carr-Saunders. The committee took their selection duties very seriously consulting the Library Association School Libraries section, Herbert Read, literary critic and poet, Oliver Elton, a second literary critic and translator who had been a colleague of Carr-Saunders’ at Liverpool University, and Herbert Lionel Elvin who was active in the Workers Education Association. Following the death of Eileen Power in August 1940 a new committee was appointed in March 1941 and the economist Lance Beales and the economic historian, OR McGregor joined the Librarian on the Committee. By February 1942 Carr-Saunders was able to report that the Library held over 1,700 books and in the Lent term of 1944 there were 196 borrowers. Initially students could borrow one book a week, later increased to two, and fines started at a penny a day. The Library was housed on the first floor of Grove Lodge. Carr-Saunders described the Library to his colleagues as “one of my war-time hobbies” and in 1945 told economist Vera Anstey that he wished more of the younger staff would make use of the Library. 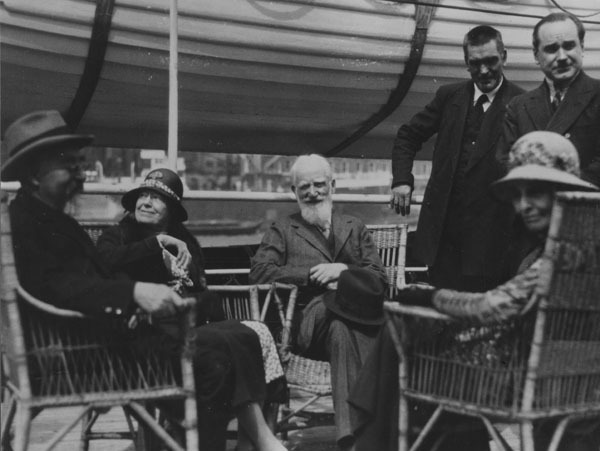 A small opening event was held in 1940 but Charlotte’s desire for anonymity has meant that many believe the Library to be named after G Bernard Shaw. 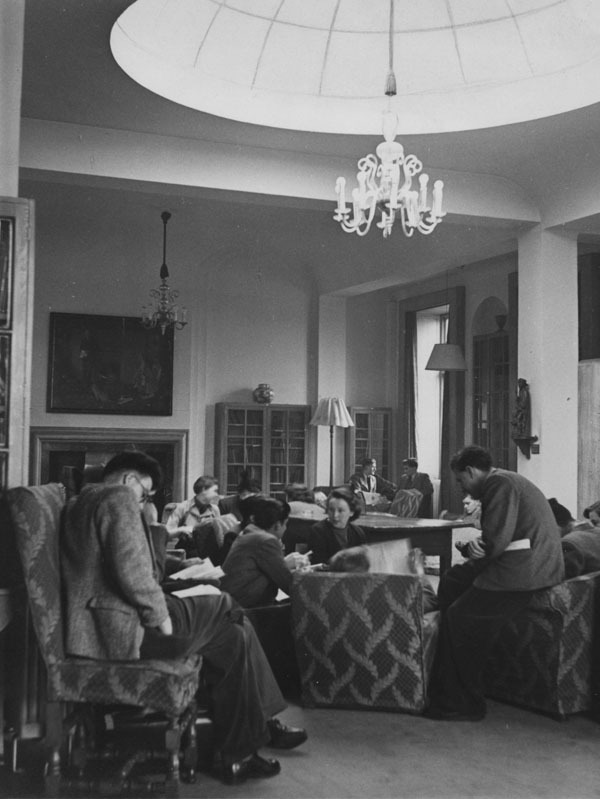 On the School’s return to London in 1945 the Shaw Library was initially housed in the gallery of the Lending Library and moved to the Founders’ Room in the Christmas vacation of 1945-1946. In 1946 the Music Society asked to use the Shaw Library beginning the tradition of using the room for concerts. Today a photograph of Charlotte Shaw hangs in the Founders’ Room and we hope she will forgive us telling the full story of the founding of the Shaw Library. This description of the Shaw Library reminded me of the sanctuary is provided for my cousin, Elizabeth Fraser, particularly during the great freeze in the winter of 1946-7. 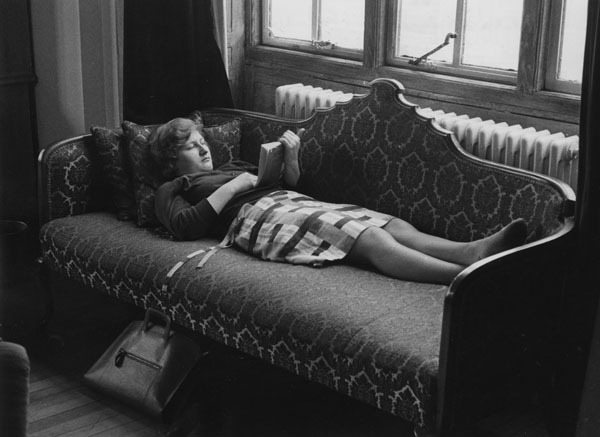 I was a first year LSE student, sharing a bed-sitter with Elizabeth and her piano that winter. She was a graduate of the Royal Academy trying to make a career as a concert pianist, and reduced to doing her practicing with a hot-water bottle on her lap and taking turns with her left and right hand on the bottle and on the piano. I think we must have obtained permission, but certainly she was very happy to spend many hours on the piano in the Shaw Library. the LSE building was very much warmer than our room with its gas fire producing a small row of blue flames along the bottom.